I’ve really been struggling with the pending rollover of a decade for the past year or so. I was consumed with all of the things that I thought I’d have accomplished by this point in my life (like becoming perfect) that I hadn’t accomplished, not really being in the ‘place’ that I pictured for myself, getting O.L.D.(er). Top those normal passage of years issues with the fact that this year my kids turned 16 and 13 – more big milestones – and when I look at them all I can see is my time with them slipping racing away and I just felt so sad. Then I ran across this beautifully written post by Lindsey Mead that practically describes my very own life – and was exactly what I needed to start changing my mind. I don’t have to be all dramatic about the passage of time – it’s going to pass anyway. Instead I can be grateful. I can be grateful for the wonderful people in my life, my material blessings, and my health (even if it’s not perfect – it’s more perfect than what other people are experiencing). I can be grateful for the time I have been given to live and to love and I can be grateful that I am still alive to turn 40. This different mindset didn’t automatically make me happy to usher in a new decade but it has led me to some introspection (as much as I can indulge in while also starting a company, raising two teenagers, and living my otherwise busy life). Now that the ‘big day’ has passed I finally feel like I can relax again and I am beginning to look forward to this next stage of my life with anticipation and excitement . Oh, and my awesome little family made my day so special. 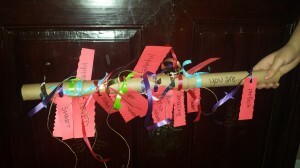 My daughter created something she called a ‘joystick’ that has ‘most’ of the great things about me (she ran out of room) and they organized a wonderful surprise party for me complete with a visit from my sister and niece – all the way from Georgia! I recently ran across this post on the UNC Health Care blog and I haven’t been able to stop thinking about it. This really bothered me, mostly because I have witnessed how awful Alzheimer’s disease and dementia are – both for those living with the disorders and for their families. I currently have a friend who is courageously living with this type of disorder (yes, I like to hang out with people a few years my senior) and watching her fight for her words and independence breaks my heart. I think that losing control of my mind and body in this way may be one of my biggest fears and even the slightest hint of ‘mom fog’ scares me to death. I’m just now entering the last leg before ‘mid-life’ and I could absolutely up my game with regard to my fitness level (so many excuses). So, I have to honestly assess my current habits and where following that road is likely to end up. 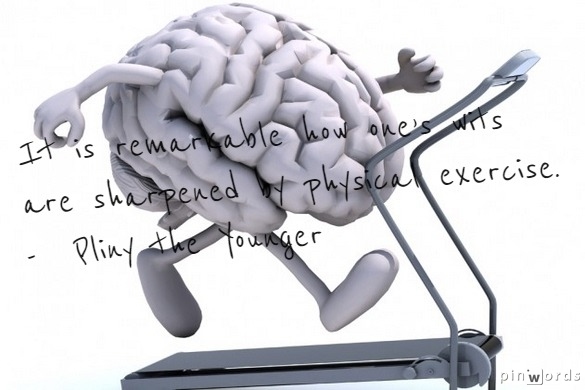 If upping my fitness (and probably cleaning up my diet) will help me stay sharp as an octogenarian, then give me space so I can do my push-ups and pass the salad bowl pretty please (just don’t make me do Sudoku – I hate numbers)! There is a tendency in our culture to expect maximum return with minimal investment. If something’s going to happen I expect it to happen NOW. The Minute Movement® program won’t give you that. The focus of this program is not immediate, drastic transformation. While we completely recommend that you work to the point of burnout during each movement, we don’t want you pushing yourself to the point of actual burnout. The focus of this program is creating positive lifestyle changes that really are sustainable for the rest of your life. The type of fitness program that results in 60 pounds of weight loss in 90 days are not typically sustainable for the rest of your life. Well, for one thing they’re very time consuming. You are usually required to hit the gym for a minimum of 30 minutes, five days each week. While this type of program can be fun and rewarding and is completely doable when you’re single and work a 9 to 5 job – it doesn’t translate well to the way many of us are actually living our lives. 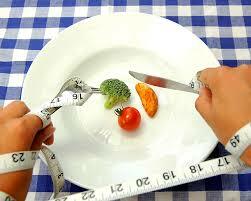 Then you have the diet portion of these programs – which are typically very, very intense. So, even if you are a person who can fit the workouts into your schedule and won’t have anyone complaining about chicken breast for dinner every night; you may still find yourself feeling exhausted or deprived and eventually reverting to old habits. Minute Movement is about changing your life – and the way you look at your life. So, while you might not see miraculous changes every time you step on the scales (and we don’t recommend putting too much power in that number anyway) you can be confident you are creating positive habits that you can sustain for the rest of your life.